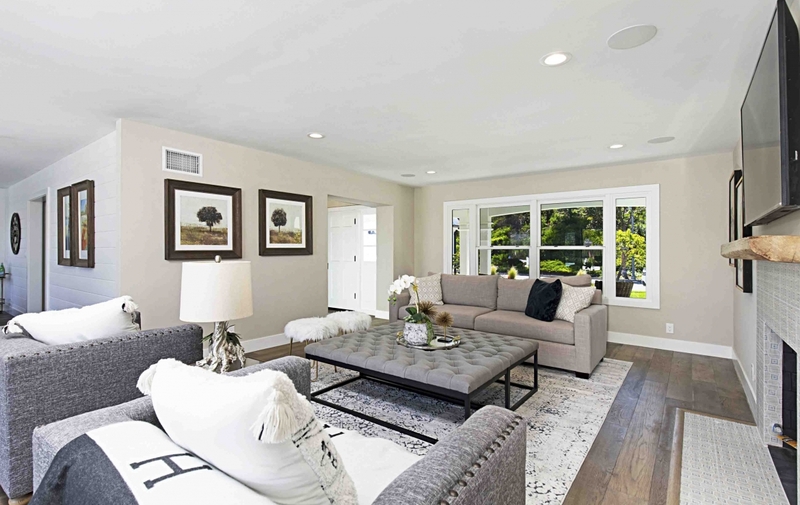 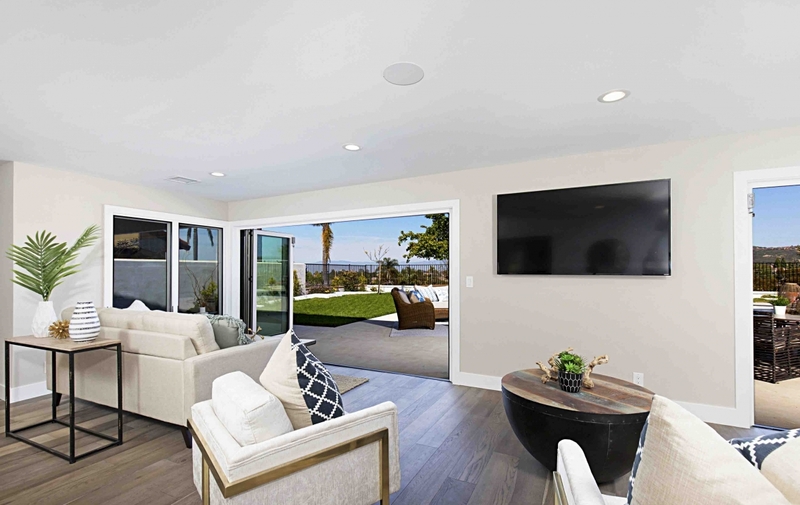 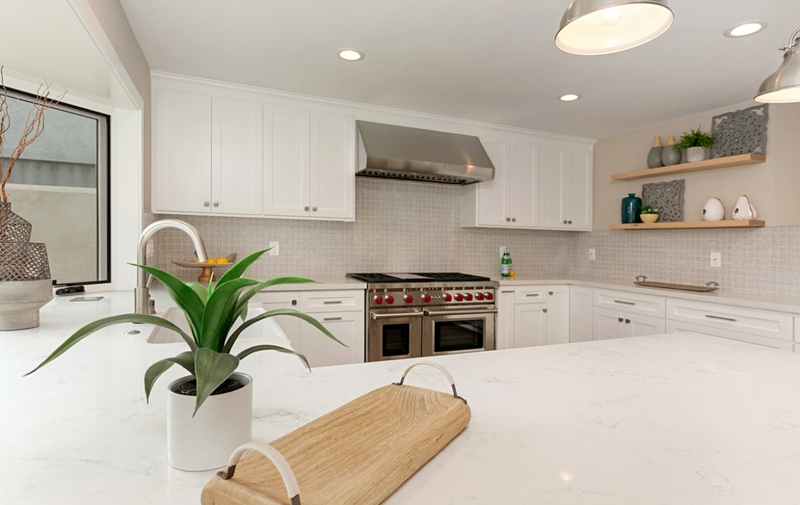 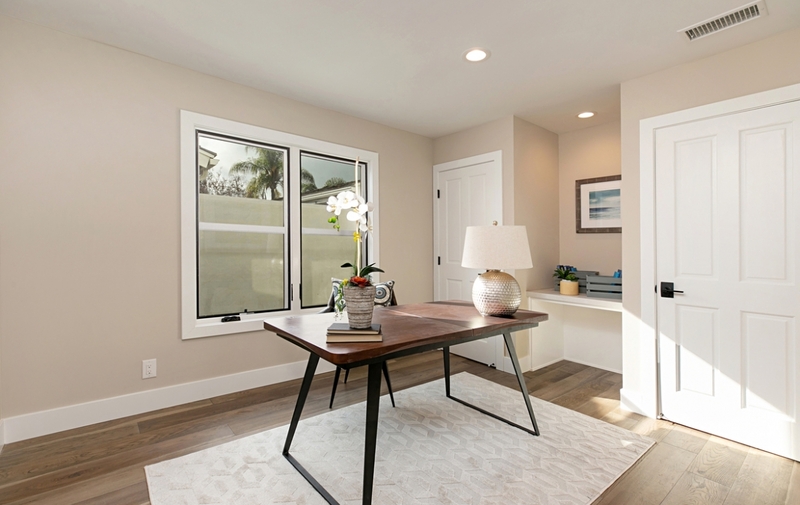 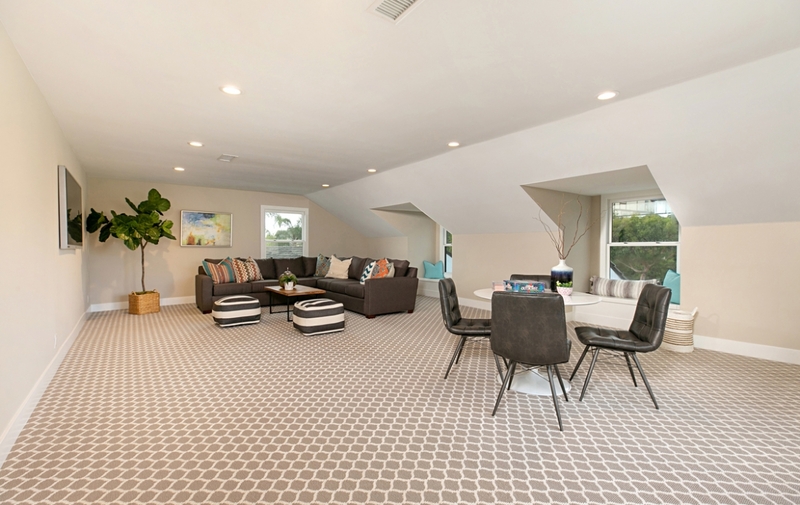 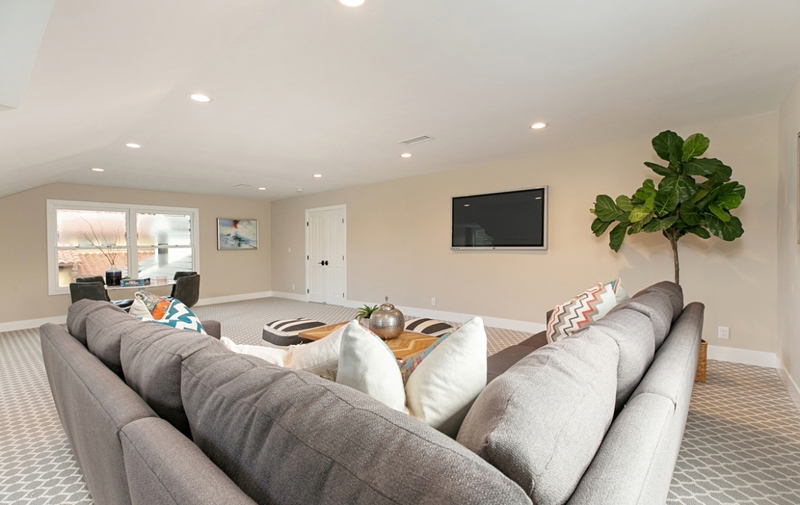 Showcasing a complete remodel, this exceptionally upgraded residence with city and canyon views offers everything that today’s buyers desire in Corona Del Mar’s prestigious Spyglass Hill neighborhood. 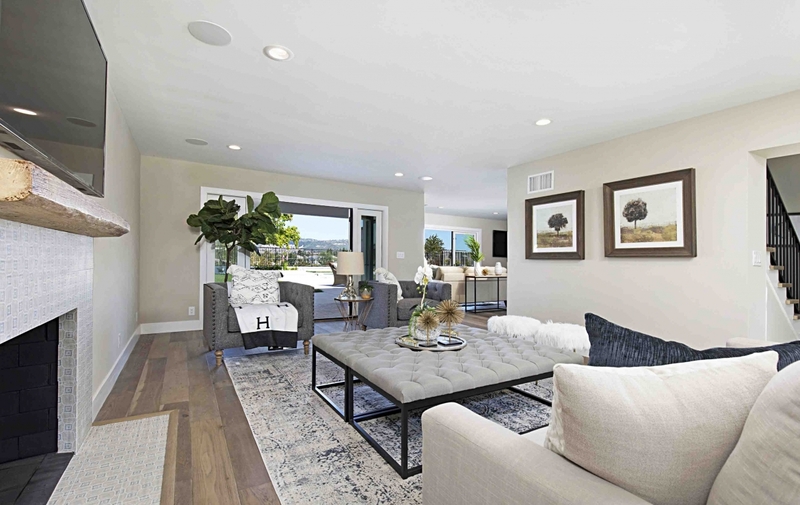 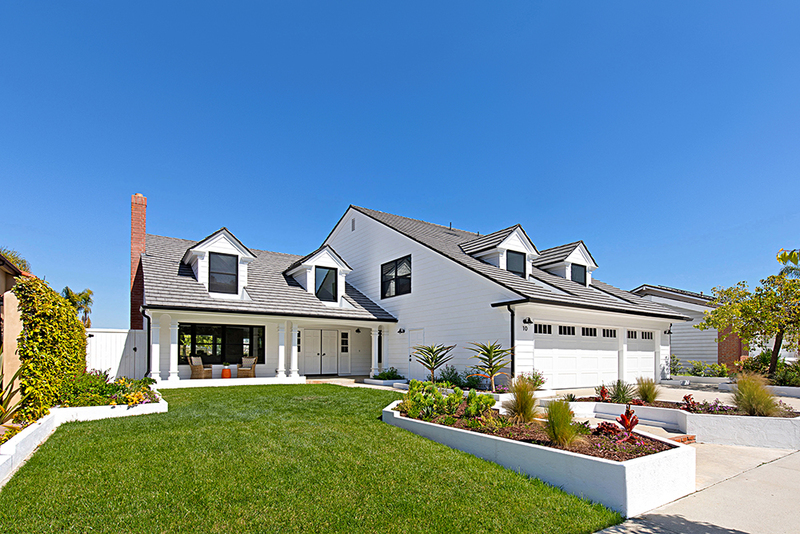 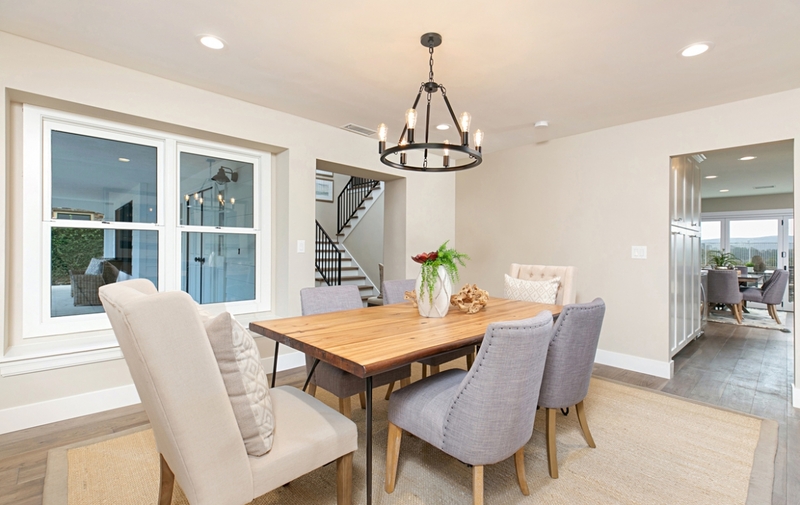 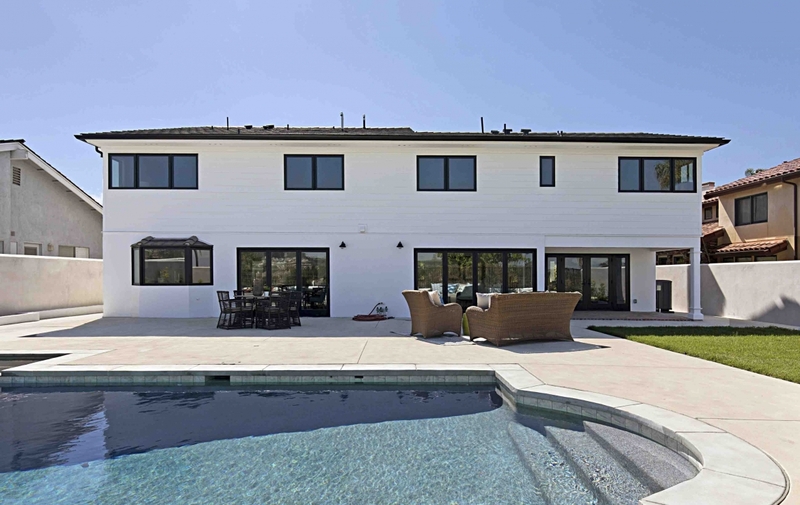 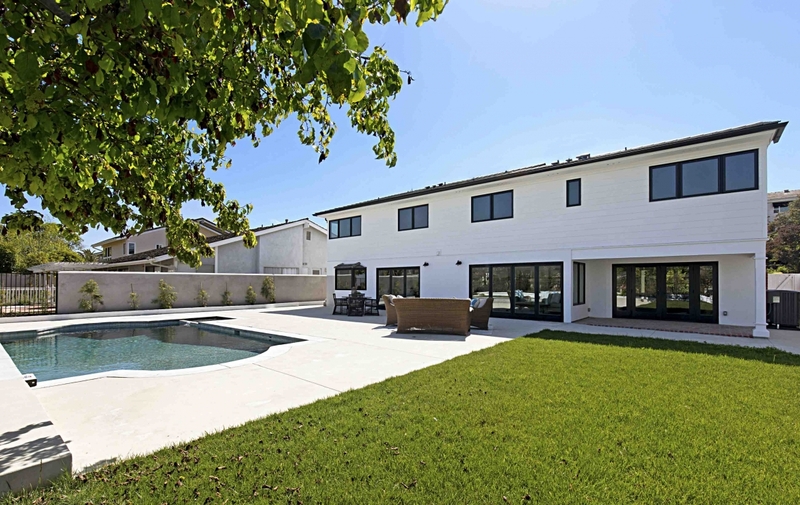 Not a single detail was overlooked in the spacious 2-story design, which measures approximately 4,000 square feet and features 5 bedrooms, and 4 1/2 baths, situated on a quiet, single-loaded street. 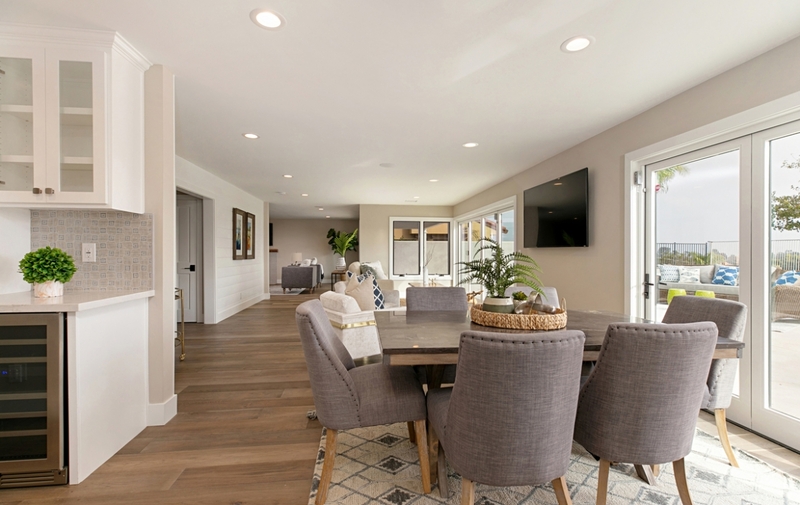 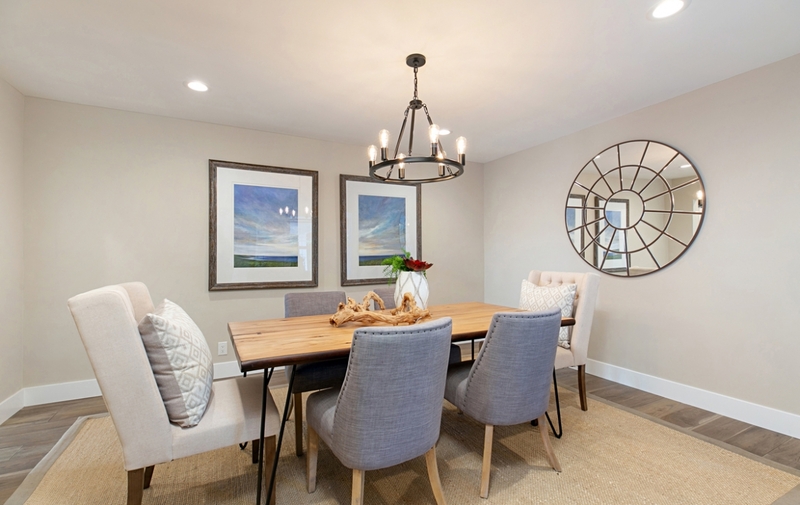 Formal living and dining rooms with pocket doors are perfect for grand entertaining, and an enormous bonus room generously accommodates a wide array of possibilities. 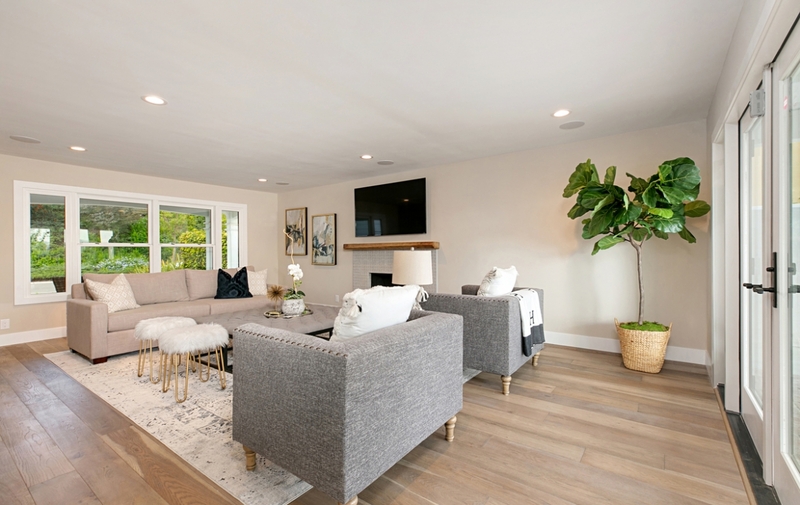 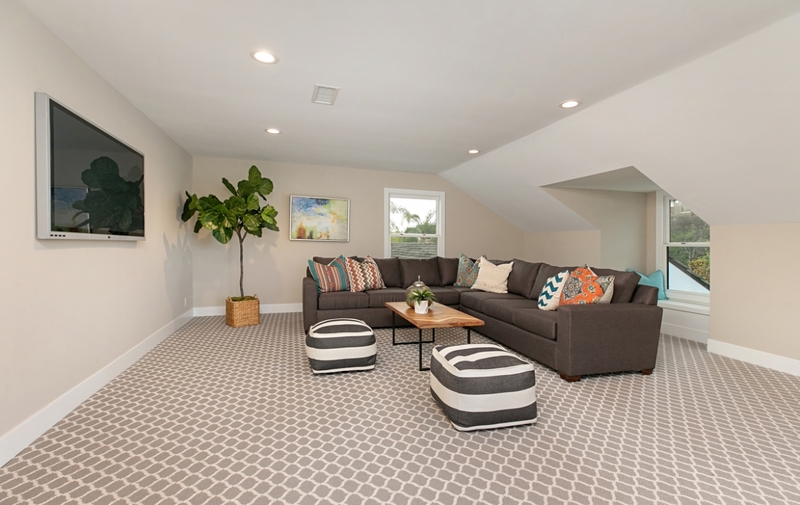 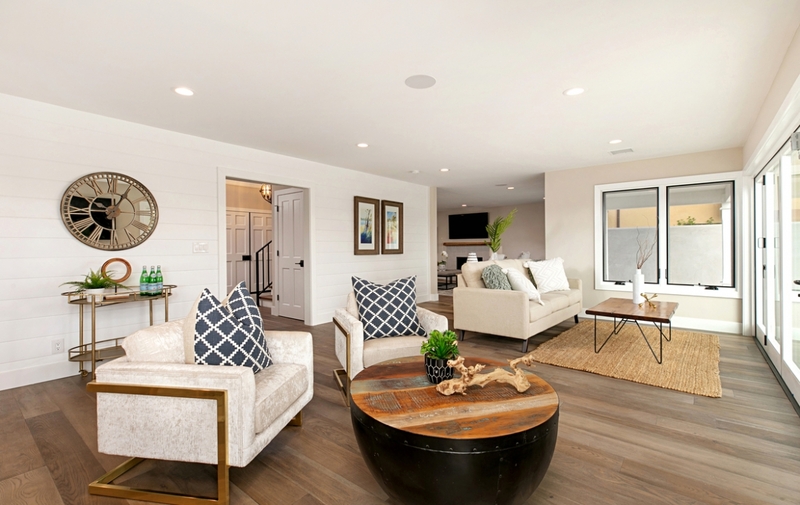 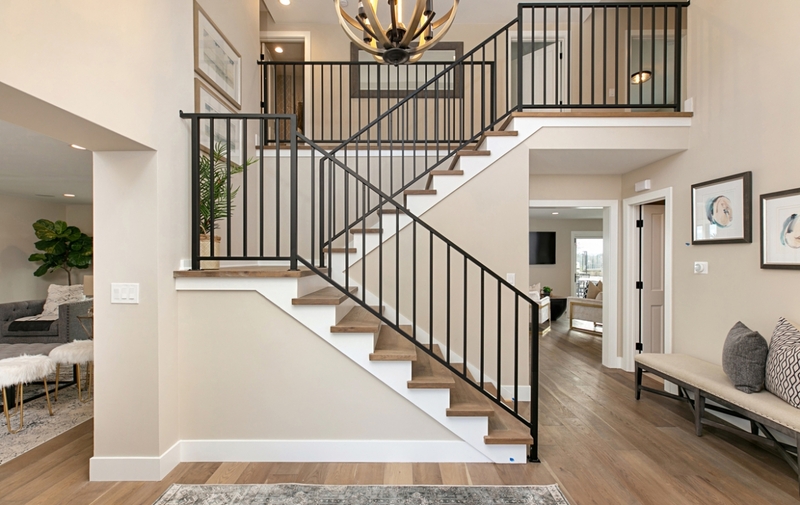 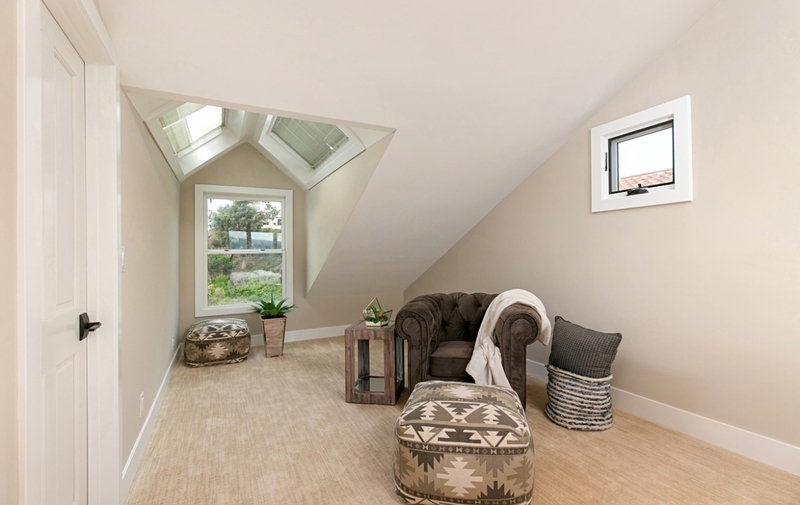 The bonus room and upstairs secondary bedrooms are distinguished by brand-new carpet, and brand-new white oak wide-plank floors add style throughout the rest of the home. 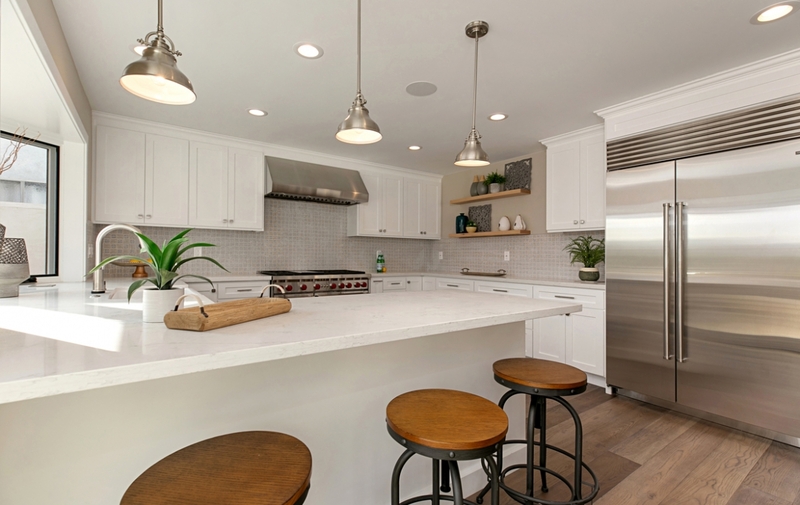 A brand-new chef’s kitchen is on-trend, displaying custom cabinetry, quartz countertops, a Shaw farmhouse sink, and brand-new high-end stainless steel appliances, including a Sub-Zero 2-door refrigerator, Wolf double-oven range, built-in Wolf microwave, a wine refrigerator, and Bosch dishwasher. 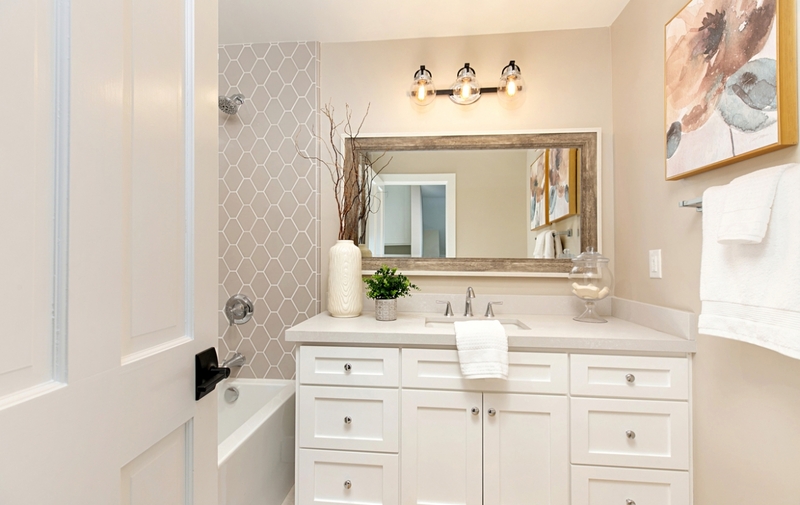 One ensuite bedroom is located on the first floor, making it ideal as a guest room, in-law suite or home office, neighboring is a separate laundry room. 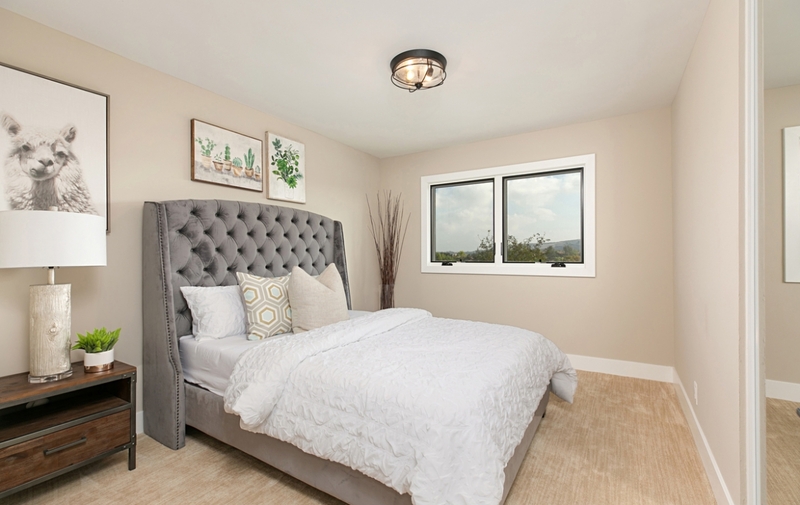 The second level hosts two secondary bedrooms with mirrored wardrobe doors and adjacent full bath. 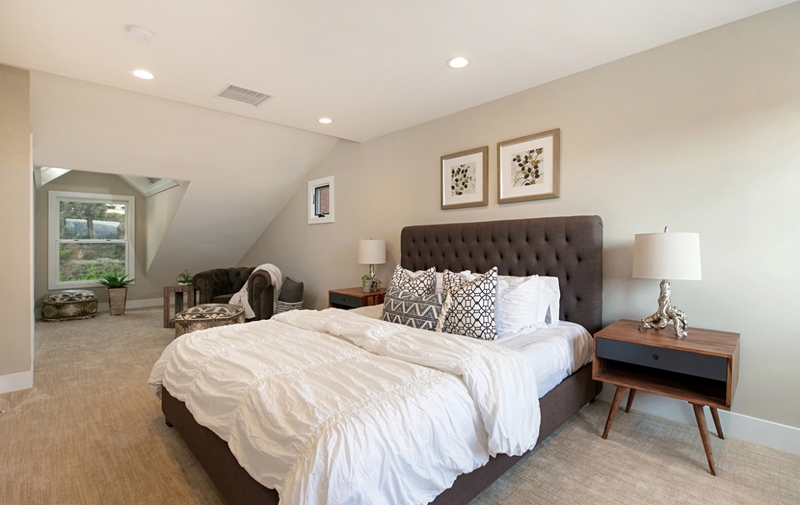 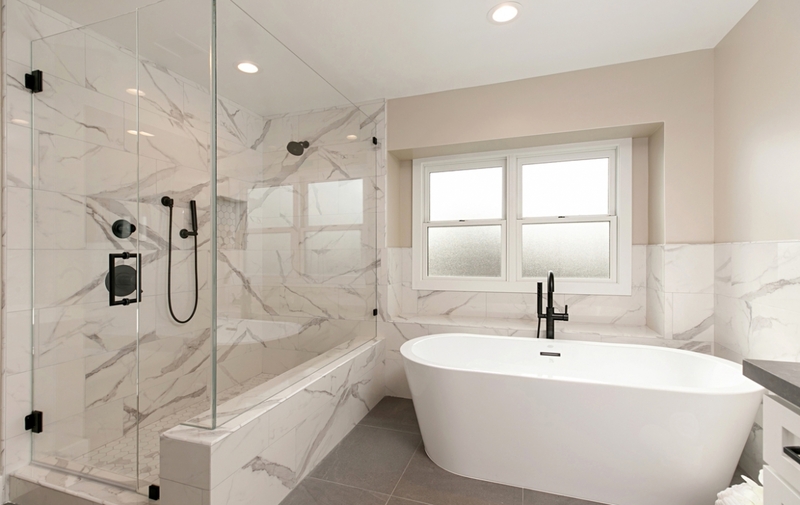 Dual master suites include private baths and walk-in closets, with the primary master offering a soaking tub, walk-in shower and two vanities, the second suite boasting a shower and a separate walk-in closet. 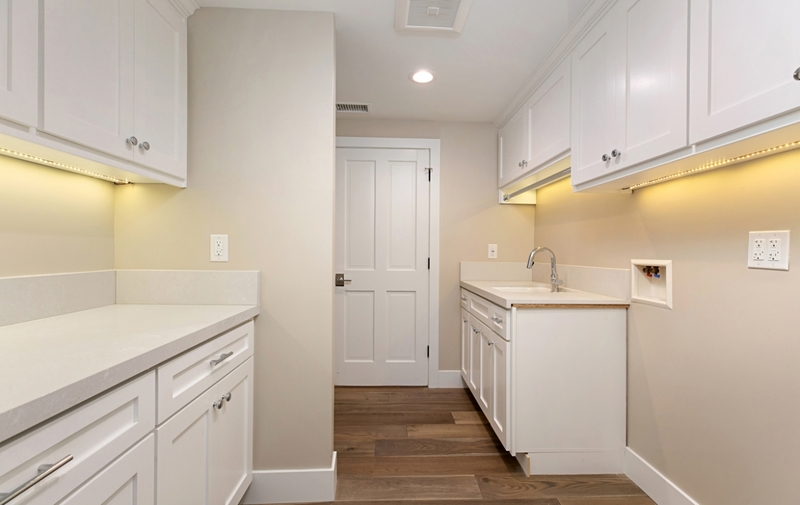 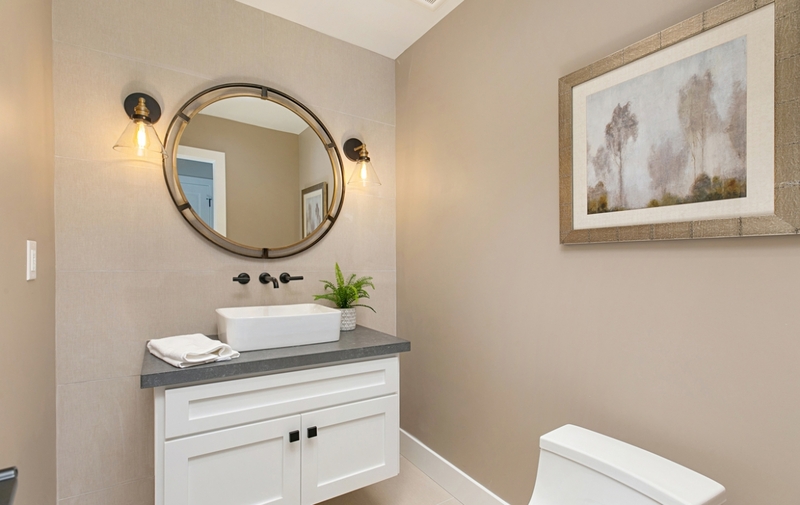 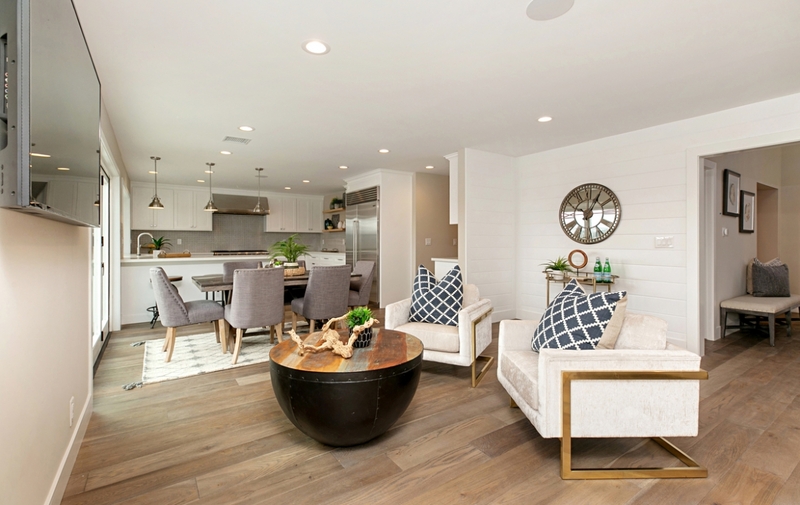 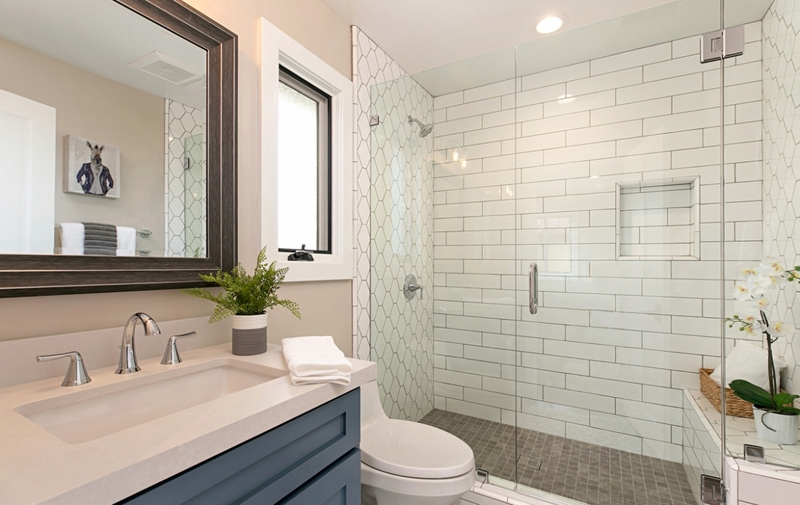 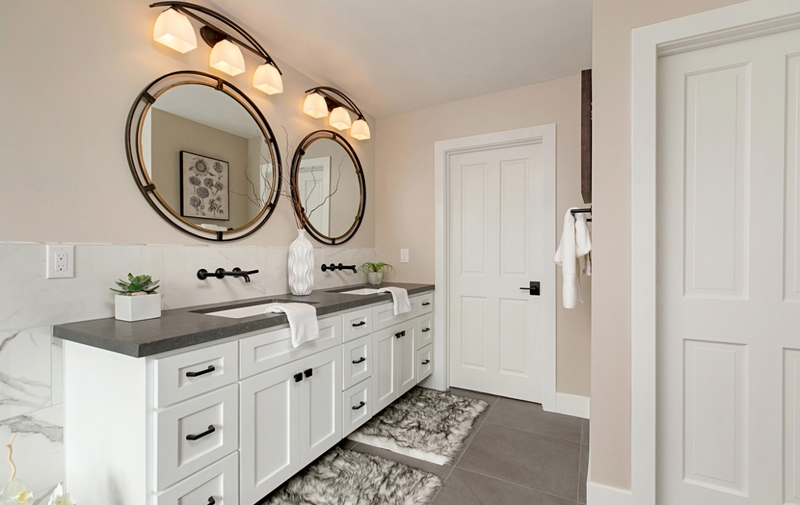 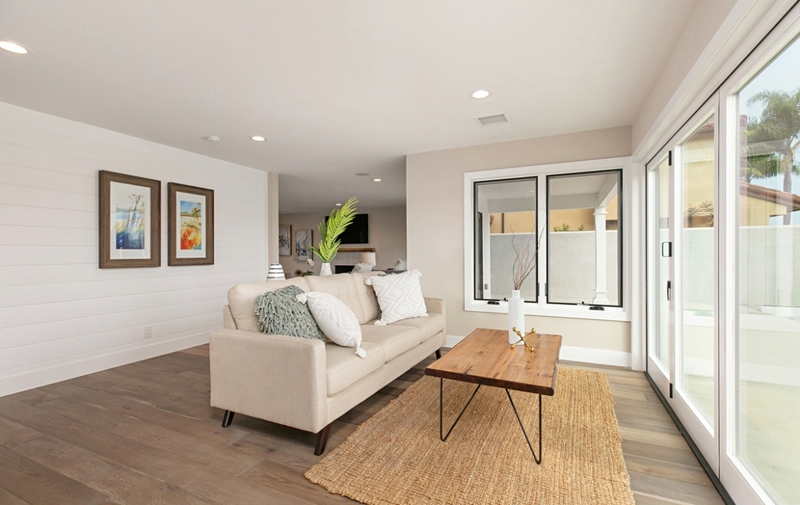 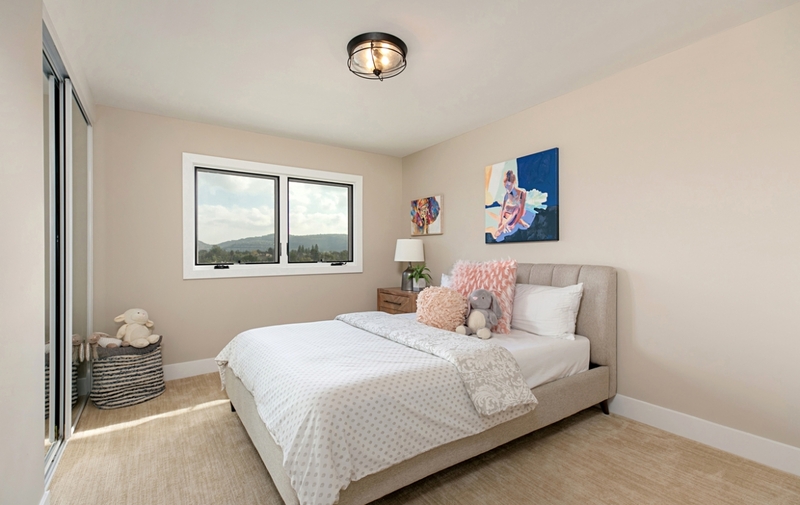 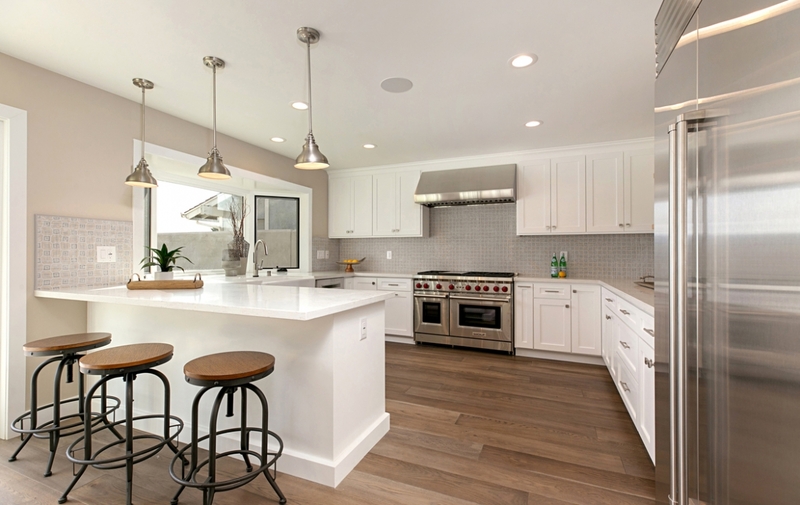 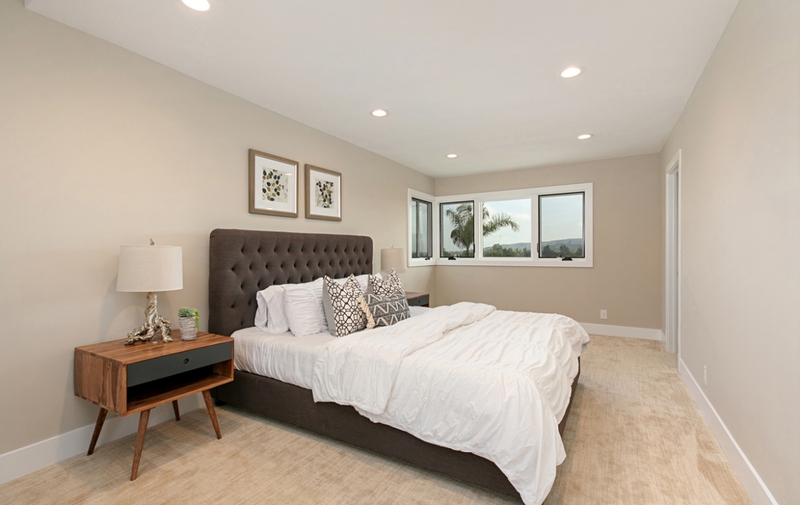 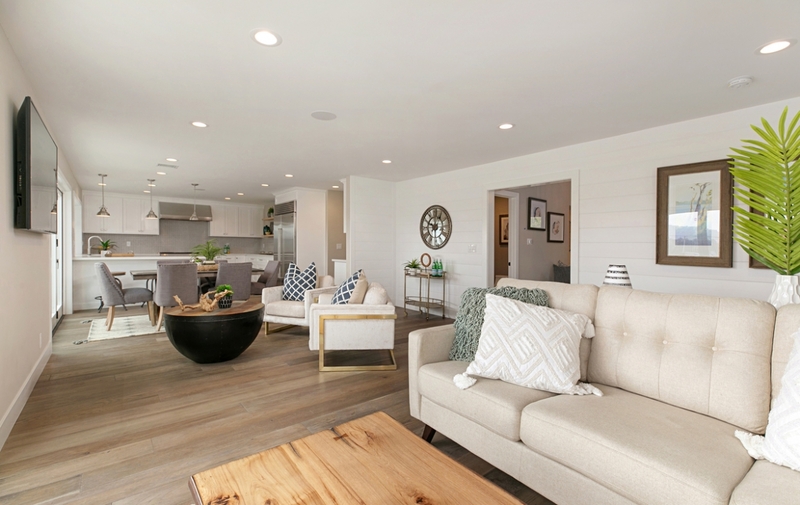 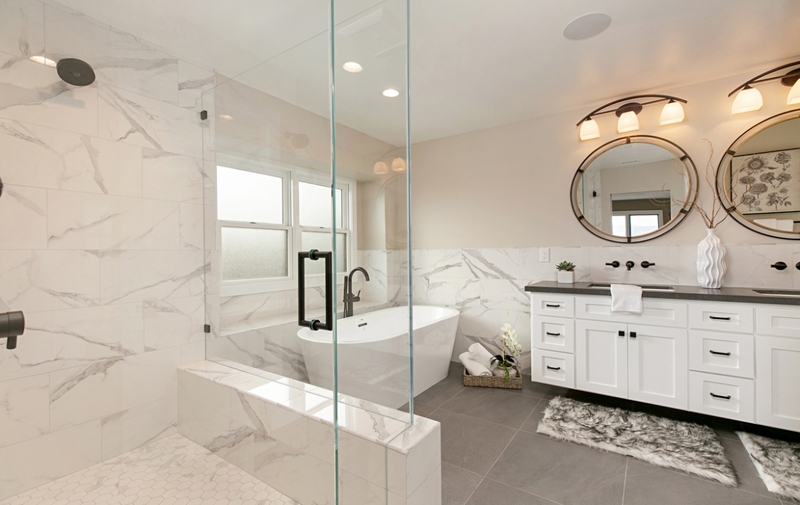 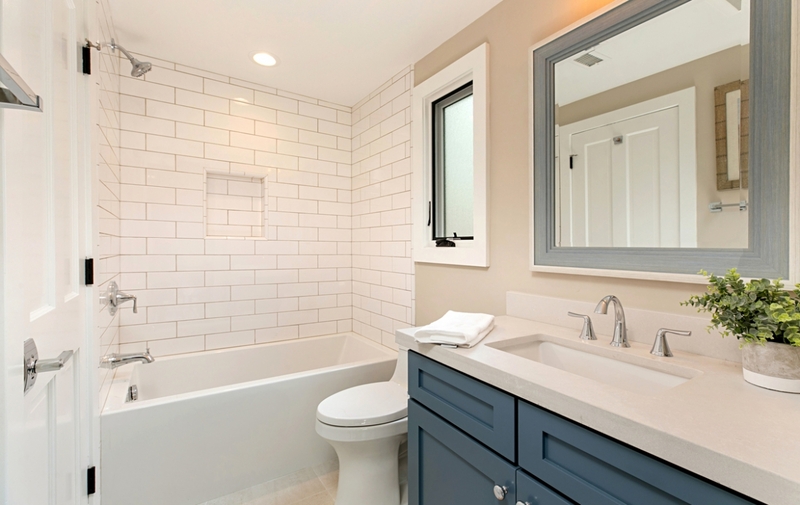 Convenience and energy efficiency are enhanced with custom built-in white oak linen cabinetry, extra storage throughout, an attached 3-car garage with epoxy floor, and dual state-of-the-art Rheem tankless water heater. 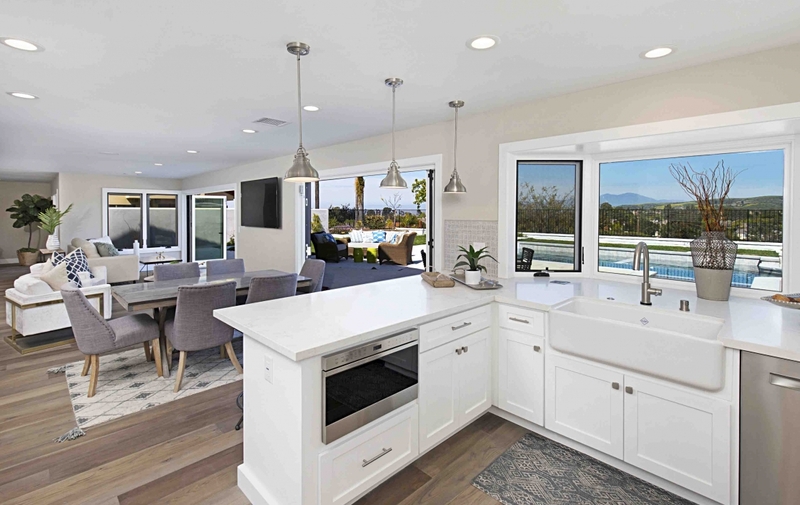 Two sets of slide-away pocket doors create a delightful indoor/outdoor ambiance, opening the interior to a beautiful and expansive backyard with freshly poured concrete patios, a private pool and jacuzzi, fresh landscaping, brand-new concrete privacy wall, and dramatic views of Saddleback Mountain, canyons and city lights. 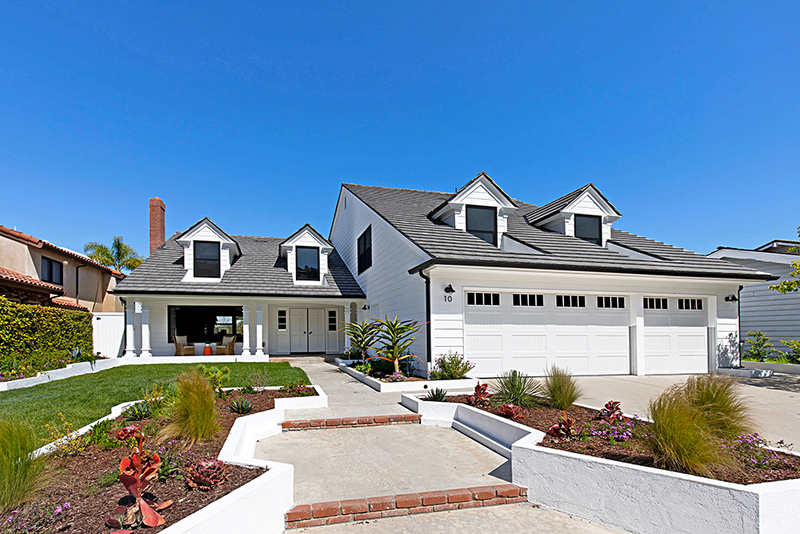 Spyglass Hill is located near top-rated schools, both public and private. 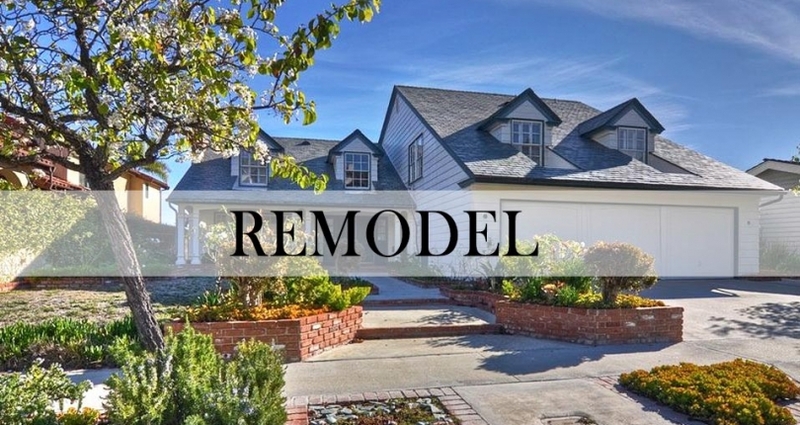 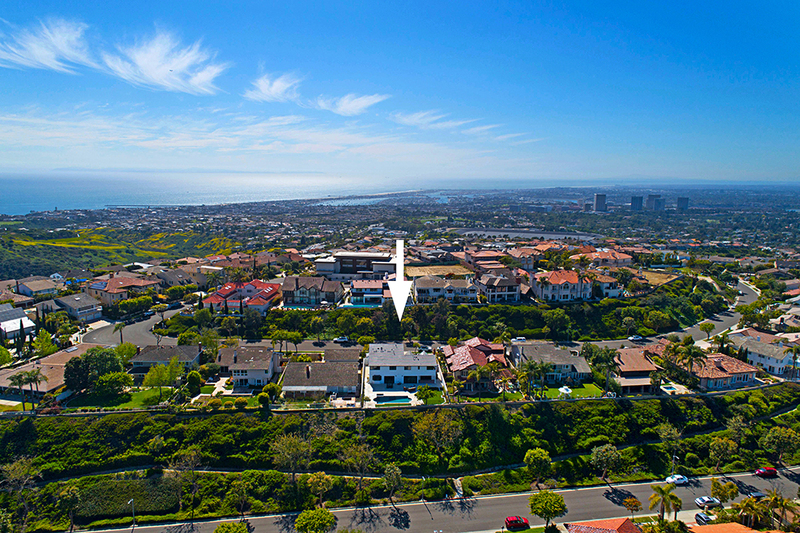 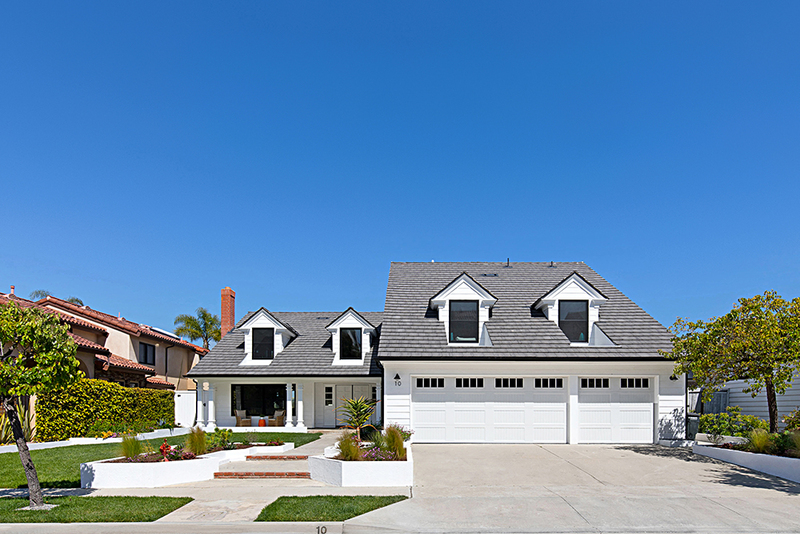 Sandy beaches, Newport Harbor, parks, shopping, theaters, restaurants, golf, and Fashion Island are equally convenient.